The Iron and Steel Institute, London, 1973. First Edition. Softcover. Very Good Condition/No Dust Jacket. Size: A4 (300 x 210mm approx.). 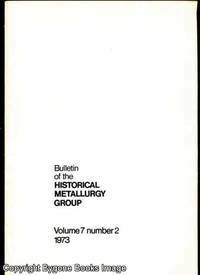 Card covered staple bound publication in clean sound condition. Other issues available. 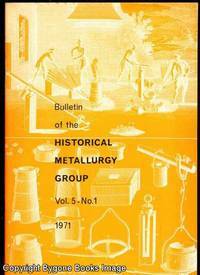 Papers include: Notes concerning copper smelting. 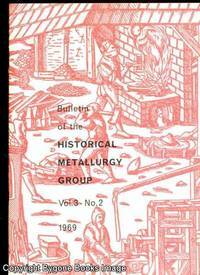 Metallurgical investigation of an iron object of Roman origin from Lower Slaughter. 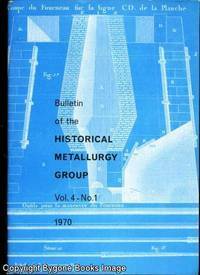 Activities in the Midlands Area: Charlcot blast furnace, Hallfields Furnace. Quantity Available: 1. Category: Science & Technology; Britain/UK; Archaeology. Inventory No: 17969..